From February 16, six types of institutions, including securities companies, fund management companies; securities investment funds (through fund management companies), securities investment companies; insurance businesses; commercial banks; general financial companies; and the State Capital Investment Corporation, will be licensed to deal in offshore indirect investment. Under Government Decree No. 135/2015/ND-CP of December 31, 2015, prescribing offshore indirect investment, in order to deal in offshore indirect investment, securities investment funds and securities investment companies must be licensed by competent agencies while other investors must obtain offshore indirect investment registration certificates. Offshore indirect investment, which may take the form of direct purchase and sale of securities and other valuable papers overseas, purchase and sale of securities investment fund certificates overseas or investment entrustment to other intermediary financial institutions overseas, may be conducted by investors themselves or entrusted institutions. Investors may only make offshore indirect investment in the investment tools specified by the State Bank of Vietnam in each period, the Decree says. 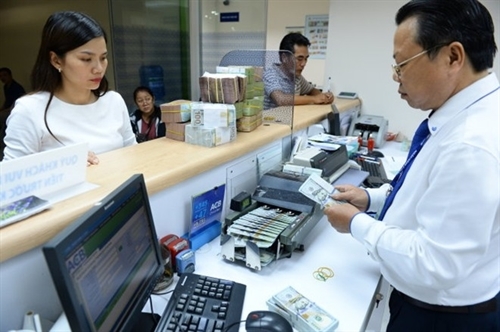 Dealing institutions other than commercial banks or general financial companies may use the foreign-currency balance on their accounts or foreign-currency amounts purchased from licensed foreign exchange service providers in Vietnam to conduct offshore indirect investment within the registered dealing limit certified by the State Bank of Vietnam.